Try Continuous Ink System with your Epson Expression Photo XP-7500 and make 30 times more quality prints for the same money! Pay only 0.04 USD for A-4 full color print! Print more, pay less! Advantageous Inkjet printing is possible thanks to Continuous Ink Supply System CISS Epson Expression Premium XP-750! Presented system cardinally reduces the cost of printing, but the printing quality remains quite good. 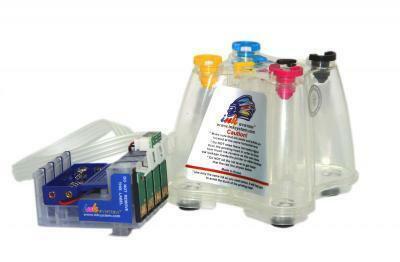 Bulk ink system for Epson Expression Premium XP-750 considerably substitutes original cartridges. This device allows saving enormous sums of money. The cost of each copy comes down dozens of times. Volumes of copies averages hundreds of thousands of copies. It's easy to calculate how soon your buying proves its value. 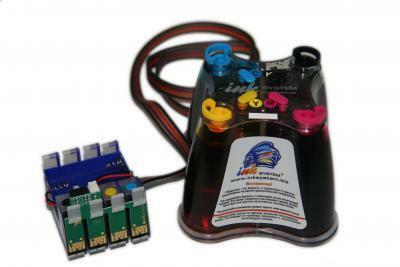 You may buy ink system for Epson Expression Premium XP-750 on our resource because it is easy and fast. On our site you can also acquire CISS epson nx127. Continous ink system Epson Epson Expression Premium XP-750 comes in handy when it's necessary to print considerable volume of materials. Practicability of the print operation and practically continuous printing considerably save your money as well as your time. In addition to it, the productivity of a multifunction device increases dozens of times. On our site it is also very profitable to buy CISS Epson XP-700. The procedure of buying is very simple, so you can do it right now.